Can light be an important player in the future of healthcare? We know that humans need sunlight to make Vitamin D helping us absorb calcium from our food. There are many spectrums of energy in sunlight such as infrared, visible, and ultraviolet. Over the last several years researchers have been studying specific wavelengths of light to see if we can utilize its power to help cure and prevent disease. I am a Board Certified Ophthalmologist that has been studying the use of light to treat common eye diseases. My focus has been Dry Eye Disease (DED) which affects an estimated 14 percent of people 48 to 91 years of age according to the population based Beaver Dam study (1). Some studies estimate that DED effects 7 to 30 percent of the general population (1). DED can be a devastating disease for some patients rendering each blink a painful event. One common cause of DED is the dysfunction of the glands that produce the natural tear. I started researching the effects of a specific visible light, Intense Pulse Light (IPL) at 500 nanometers, on these dysfunctional glands. I invented an IPL technology and treatment protocol for DED that has been used since 2008. Our research has shown that IPL can improve gland function and treat DED (2). There are now 100s of clinics throughout the world utilizing IPL to treat DED and institutions like Johns Hopkins, The Mayo Clinic, and Duke University have validated our research. 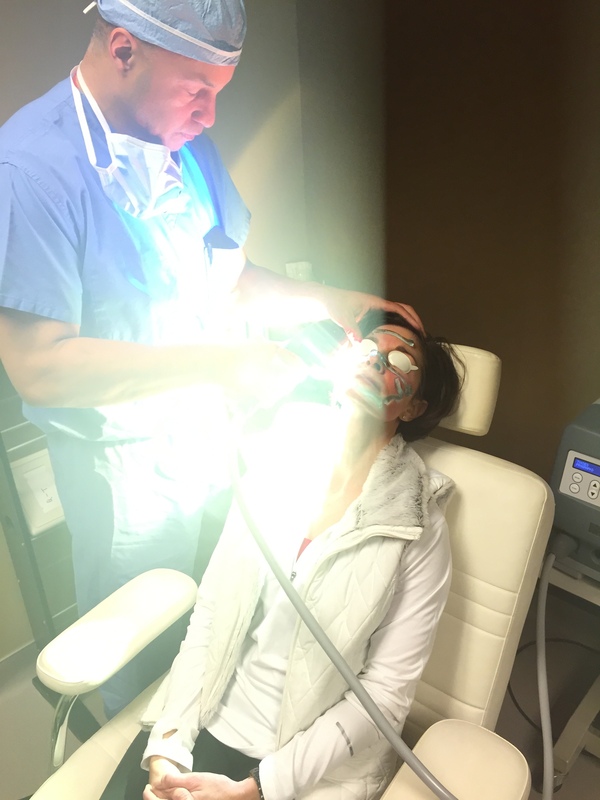 Dr. Rolando Toyos performing Intense Pulsed Light (IPL) therapy on a patient in office for treatment of dry eye disease. Credit: Rolando Toyos. When I began to present the benefits of light for DED in 2001 many doctors were skeptical that treating a disease with light could actively improve the condition, changing the intracellular processes of the body. But over the years scientific research have shown that specific wavelengths of light can stimulate the mitochondria, the energy producer of our cells, to work more efficiently, making abnormal cells work better. The term used for the process of light to stimulate our natural cells to improve function is called photomodulation. When we treat our dry eye patients with light we are photomodulating their tear glands to work better producing a normal tear and relieving the signs and symptoms of dry eye. NASA, helped solidify the theory of photomodulation when they discovered that astronauts using light therapy in space could help healing from injury, skin rejuvenation, sleep, and mood disorders (3). Now astronauts rely on light therapies to stay healthy when on a mission in space. We are now investigating other wavelengths of light to improve DED by using Light Emitting Diodes in visible light ranges from 400nm, 600nm, and Infrared (4). These light therapies do not require a doctor to administer the treatment but can be used by the patient safely at home. Needless to say the reception to my lectures on light therapies is no longer met with skepticism but with open minds. I receive several phone calls, emails, and letters from doctors and patients inquiring about light based technology and therapy. The International Year of Light and Light-based Technologies 2015 initiative is helping make the general public more aware of the current and future significance of light in our daily lives. 1 – Gayton, J. Etiology, prevalance, and treatment of dry eye disease. Clinical Ophthalmology. 2009 Jul; 3: 405-412. 2 – Toyos, R. Intense pulsed light treatment for dry eye disease due to meibomian gland dysfunction; a 3-year retrospective study. Photomed Laser Surg. 2105 Jan; 33(1): 41-46. 3 – Dougherty, E. Blues Cues: Researchers cast a little light on the subject of sleep. Aug 2015. Harvard Medical School. https://hms.harvard.edu/news/harvard-medicine/blues-cues. 4 – Toyos,R. Effects of Red Light Technology on Dry-Eye Disease Due to Meibomian Gland Dysfunction. ASCRS 2015 Paper Session Cornea Medications and Medical Therapy. https://ascrs.confex.com/ascrs/15am/webprogram/Paper14953.html. Rolando Toyos, M.D. 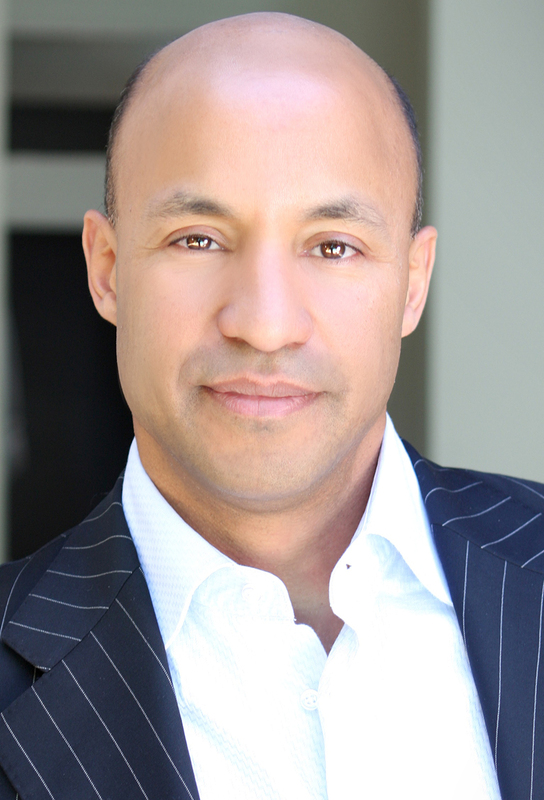 is the Medical Director and Founder of Toyos Clinic. He received his Bachelors and Masters degrees from The University of California, Berkeley and Stanford University. Prior to medical school, Dr. Toyos was National High School Teacher of the Year. He received his medical degree at the University of Illinois where he was Class President and a James Scholar. He completed his Ophthalmology residency at Northwestern University and Chicago Children’s Hospital before starting Toyos Clinic. He has published several books and research articles, lecturing internationally on scientific topics such as his invention Intense Pulse Light for Dry Eye.